Brexit comes at a critical time for corporate governance in the UK, as proposals for comprehensive change in UK corporate governance may move forward far more rapidly without EU dialogue and intervention. Clearly, the impact of Brexit for boards and UK companies is still being evaluated. From a corporate governance point of view, the EU and the UK have had a winning combination for many years. If each goes its separate way, results may be different, and boards must be carefully attentive to governance and compliance changes. While corporate governance started in the UK, its development has been closely intertwined with the EU, which, in some areas, like that of the General Data Protection Regulation and the Shareholders’ Rights Directive II, has innovated ahead of the UK. Now, the Kingman Review has made 83 proposed changes to fundamental UK corporate governance. Is radical reform in store once ties with the EU are broken? No one knows how Brexit will play out, but, for compliance and corporate governance issues, there is some clarity. “A no-deal Brexit could mean the end of transposition of EU legislation into UK law,” warns the London-based law firm Cadwalader Wickersham & Taft. It is also possible that previously transposed EU legislation could be reviewed and changed by the UK government. This could, of course, include corporate governance legislation. The current UK government has, however, given assurance that the transposition of the EU General Data Protection Regulation (GDPR 2016/679) won’t be affected. On the other hand, the Shareholder Rights Directive II (2017/828/EU with Implementing Regulation 2018/1212/EU), for which the Financial Conduct Authority (FCA) has been preparing implementation, will not be transposed into UK law in the case of a no-deal Brexit. Further, the recently implemented Solvency II directive, which provides a risk framework for insurance, could be substantially changed after Brexit, according to the UK Institute and Faculty of Actuaries. This could mean comprehensive changes in the Code itself, along with the entire philosophy of corporate governance in the UK. And with the EU out of the picture, change could be pervasive. 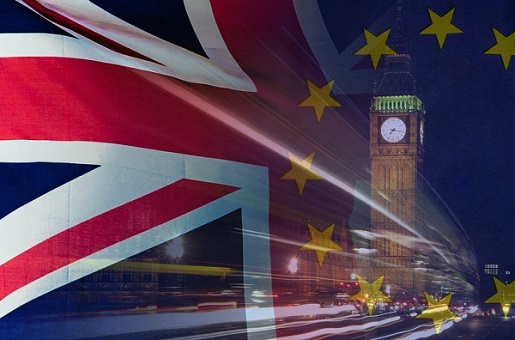 “Is the FRC right for a post-Brexit world where the framework within which the UK operates will have fundamentally changed?” asks the London-based accounting firm BDO in a recent note. “The UK’s own corporate governance model, based on shareholder primacy, may come under further scrutiny to the extent that shareholder expectations of companies are seen to encourage unduly short-term time horizons, which may be to the detriment of long-term sustainability,” writes George Dallas, director of policy at the International Corporate Governance Network. Corporate governance was invented in the UK. The Cadbury Committee report, sponsored by the UK Financial Reporting Council, the London Stock Exchange and the UK accounting profession, was released in 1992 and has been the basis for all thought on the subject around the world, as the subsequent OECD study shows. Several versions of the UK Corporate Governance Code released since then by the Financial Reporting Council have developed based on the Cadbury principle that there is no ‘one size fits all’ or ‘box-ticking’ approach to corporate governance, and that companies are free to go outside the Code’s determinations so long as they provide a clear explanation. “Above and beyond the question of social justice, doing the right thing should remain the backbone of UK corporate governance. The basic tenets of transparency, accountability, integrity and stewardship have helped the UK to create one of the world’s foremost corporate governance frameworks and this is something worth hanging on to and improving,” writes Peter Swabey, Policy and Research Director at the UK Institute for Chartered Secretaries and Administrators. Want to find about 2019 corporate governance priorities & challenges for your board? Read more here. There is no disputing this statement, but there has also been rising criticism of UK corporate governance. The Kingman Review strongly criticises the FRC’s inability to prevent the recent string of corporate failures, and calls the FRC “too consensual” in its approach to listed companies. In the past, the Kingman Report’s strident call for reforms would have been dampened by the EU’s role in corporate governance across all 28 Member States – including the UK. As Michael Schillig, a professor of law at King’s College in London, points out, the EU has become the primary legislator in many areas of corporate governance. The EU has dominated securities law and governance, as well as areas like Corporate Social Responsibility (CSR) and Environmental, Social and Governance (ESG), and financial markets law. “For the past 19 years, the European Union (EU) has been pursuing a policy of strengthening company boards, increasing information flows, and encouraging institutional investor oversight,” recounts a study by the CFA Institute. “Since 2000, there has been a steady stream of policy initiatives at the EU level aimed at improving standards of corporate governance along with the goal of pro­moting the larger macro goals of enhancing economic growth, reducing market inefficiencies, and particularly since the financial crisis, avoiding undue risk to the financial system and to European economies more generally,” the study notes. The Kingman reforms would have to have been integrated with EU regulations, including those not yet implemented. But with the EU out of the picture, the UK is free to move in an entirely independent direction. Whether that is positive for UK companies remains to be seen. The voluntary, “comply-or-explain” approach has always been positive for UK companies. The Kingman Report suggests a move closer to a harder strict-rules type approach. Then, the Kingman approach supports much greater shareholder scrutiny of boards and their activities. Greater transparency is always positive, but the liberty of boards to make long-term decisions with considerable benefit for their organisations could fall by the wayside as shareholders press for immediate profit. From a corporate governance point of view, the EU and the UK have had a winning combination for many years. If each goes its separate way, results may be different, and boards must be carefully attentive to governance and compliance changes. Diligent’s corporate governance software helps boards keep up with compliance. We’ve seen that we are entering an era of very rapid change in corporate governance regulation. Diligent Governance Cloud provides the support board members need to stay abreast of these complex issues. Diligent Insights, for example, addresses governance issues at the highest level. Diligent’s onboard library allows the company secretary to share the latest documents with board members in real time. And Diligent Governance Cloud protects all communications and stores all documents and materials using the highest grade of security. With all this, there is a powerful group of applications for board member activities like voting, recording discussion, taking the meeting minutes, board evaluations, entity management and much more. Diligent Governance Cloud supports the work of a board member at every level of activity. The board management software goes beyond digital board books to manage the full scope of a board’s moving parts — committees, contacts, voting, reporting and more.